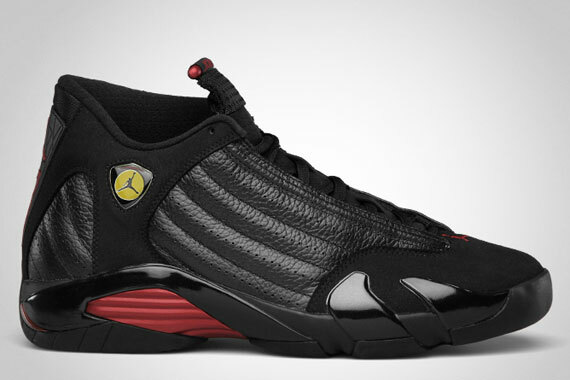 The Ferrari inspired Air Jordan 14 has taken on many different colorways in the past. One of the most iconic is the Air Jordan 14 "Last Shot." Decked out in a predominantly black upper red finishes throughout give off that Chicago Bulls theme. Finished off by yellow accents, the clean colorway is definitely one you want in your collection.